Self-catering Holiday Caravan accommodation in Newquay. 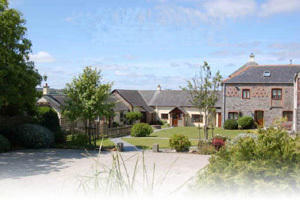 At Penvose Farm Holidays in Newquay Pets are Welcome - Dog friendly establishment. 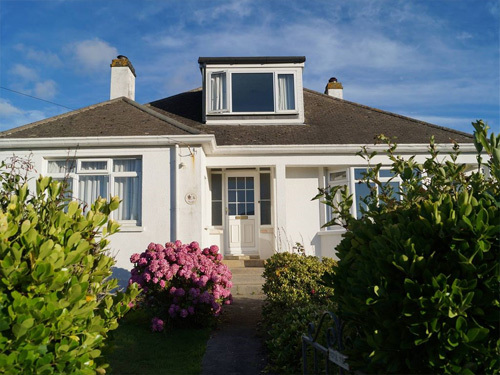 Olive House is a large detached house in the centre of the village, opposite the bakery and butchers, on flat terrain about one mile from the beach and golf club. Sleeps 12 in six bedrooms. At Olive House in Rock Pets are Welcome - Dog friendly establishment. Polzeath Self-catering Holiday Cottage rental with Sea Views. At Breakers Holiday Cottage in Polzeath Pets are Welcome - Dog friendly establishment. 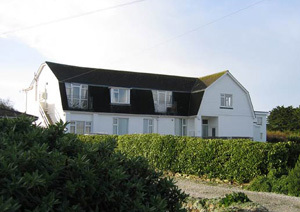 Constantine Bay Self-catering Holiday rental with Sea Views. A comfortable, well equipped apartment with two bedrooms, located just 250 yards from the golden sandy beach of Constantine Bay. The flat has views to Trevose Head and the sea, and is within walking distance of Trevose Golf Club, Treyarnon Bay and Boobys Bay. At 12 Sandhills in Constantine Bay Pets are Welcome - Dog friendly establishment. 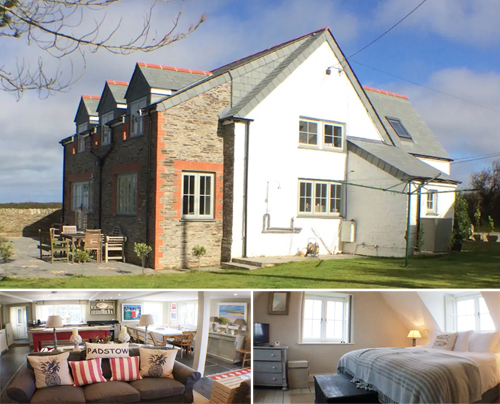 Harlyn Bay nr Padstow Self-catering Holiday rental with Sea Views. Fantastically luxurious Cornwall retreat with Hot Tub, occupying an idyllic position on the North Cornwall coast in Harlyn Bay, less than 2 miles from Padstow (Rick Stein country) and ten minutes drive from Newquay airport. This large family home sleeps 12 in 5 bedrooms and is 5 minutes walk from the stunning sandy beach. At Tregea Self-catering in Harlyn Bay nr Padstow Pets are Welcome - Dog friendly establishment. Nr. 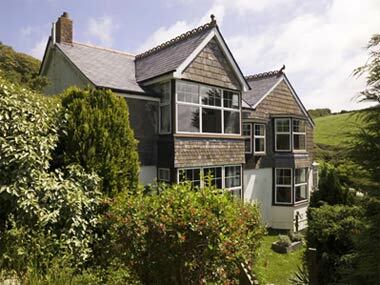 Padstow Self-catering Holiday rental with Sea Views. At Hesselwood - Harlyn in Nr. Padstow Pets are Welcome - Dog friendly establishment. Padstow Self-catering Holiday Cottage rental with Sea Views. 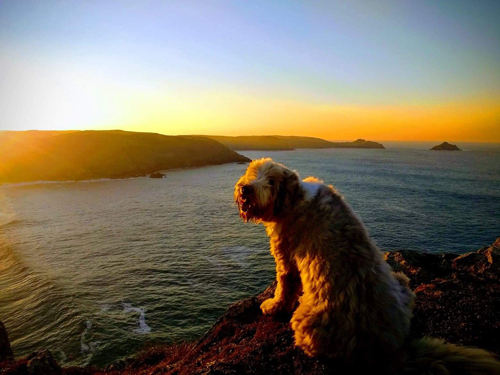 Luxury dog-friendly, self-catering holidays & cottages in Padstow, Rock and Polzeath, North Cornwall, UK. 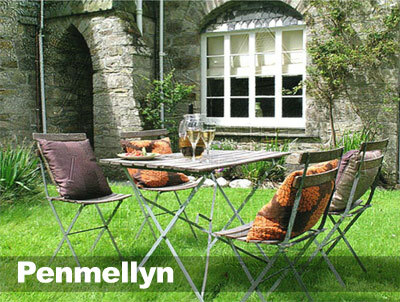 Please check the website for last-minute or late availability short breaks and holiday lettings. At CRW Padstow Holiday Cottages in Padstow Pets are Welcome - Dog friendly establishment. Debbie and Chris give you a warm welcome to their lovely Edwardian home. We offer high quality en-suite accommodation. 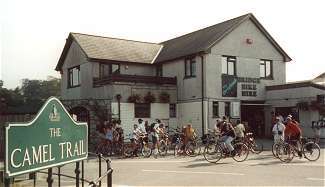 Situated just 2 minutes from the town centre we are ideally positioned for you to access a wide range of pubs, restaurants, shops and access to the Camel Trail. 4 star accommodation. High quality en-suite accommodation comprising of two double en-suite rooms and one family en-suite room (one double and two singles). Port Isaac Holiday Apartment Rental with Sea Views. 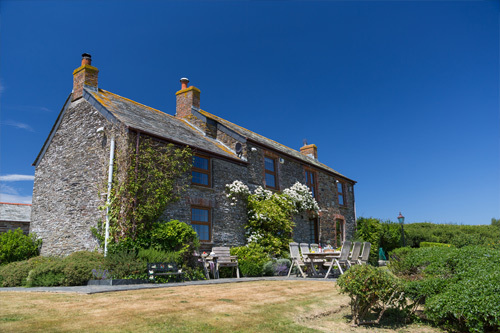 Five self catering holiday cottages sleeping between 6 and 10 people -Locations, from Padstow, famed for Rick Steins restaurant, to the wonderful surfing beach at Polzeath and the ancient ruins at Tintagel ....... give you a choice of holiday destinations to suit the whole family. 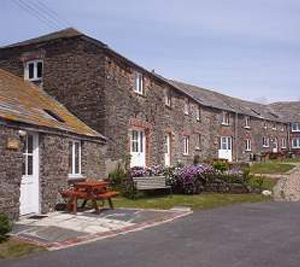 At Cornish Seaview Cottages and Holiday Apartments2 in Port Isaac Pets are Welcome - Dog friendly establishment. 4 High quality self-catering cottages set in a quiet rural courtyard just a few minutes from the North coast and sandy beaches. 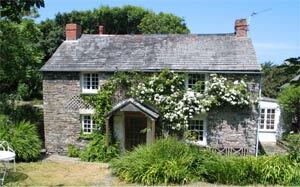 It is an ideal location for exploring Cornwall and we are open all year. 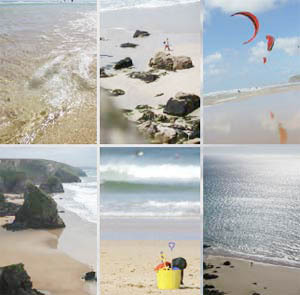 Self-catering Holiday Caravan accommodation in Mawgan Porth, nr Newquay. Holiday Caravans, Camping and Touring. Set in scenic countryside on the North Cornish coast, just a brisk 10-15 minute woodland walk from the large sandy beach at Mawgan Porth and its beachside facilities - shops, caf�, take-away, restaurant and public house. 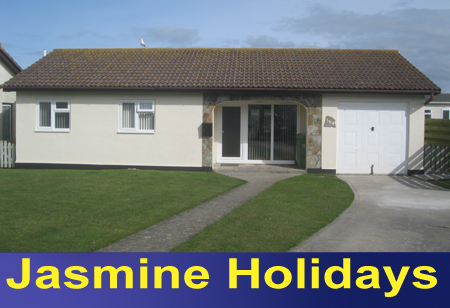 Self-catering Holiday Caravan accommodation in Padstow. Atlantic Bays has 7 beautiful beaches within 2 miles (7 bays for 7 days), self-catering Chalet, Touring, Caravan and Camping facilities, set amidst 27 acres of peaceful parkland in Cornwall. A family run site with friendly staff ready to help make your holiday a memorable one. 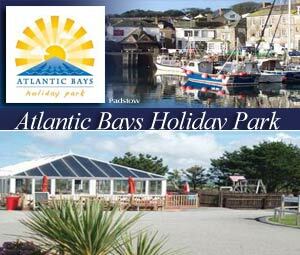 At Atlantic Bays Holiday Park in Padstow Pets are Welcome - Dog friendly establishment. Harlyn Bay Nr Padstow Self-catering Holiday Cottage rental with Sea Views. 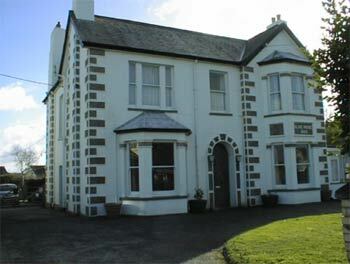 Padstow Self-catering Holiday rental with Sea Views. Treaaron sleeps 4-8 people Recently redecorated 4 bedroom house. Just two miles from 7 beaches. 3 miles from the popular harbour town of Padstow. Ideal accommodation for a large family or two small families. At Treaaron in Padstow Pets are Welcome - Dog friendly establishment. 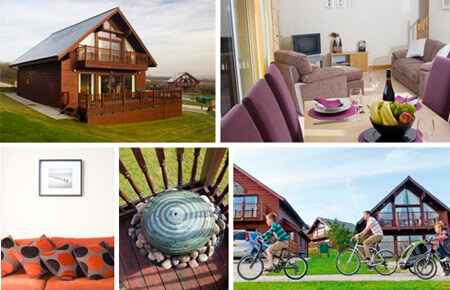 Aspen & Enderley Lodges are purpose built luxury Scandinavian style sel-catering lodges. The interiors are exceptionally spacious, remarkably comfortable & beautifully decorated to ensure a relaxing & luxurious holiday for all the family on a beautiful part of the Cornish coast. 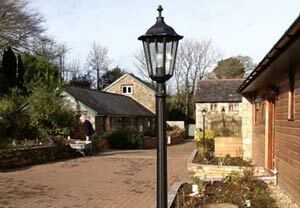 All our cottages are situated around a brick paved courtyard with a special area for car parking. 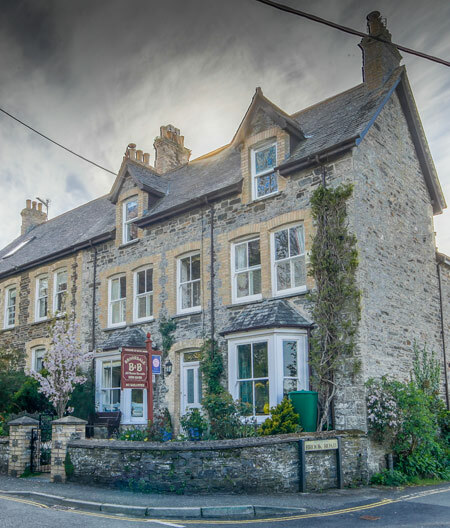 We are set in the countryside with views over the fields of our Farm towards the river, the woods and our Lake where walks may be taken, and beyond to the ancient iron age hilltop fort of Castle an Dinas. 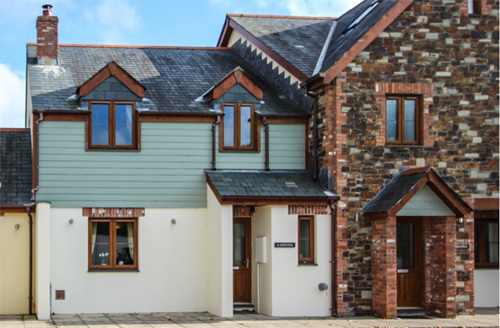 6 lovely properties in Padstow, Treyarnon Bay and Tintagel. Ideal for beaches, walking and cycling. Magnificent views from all. Sleep from 2 to 18. 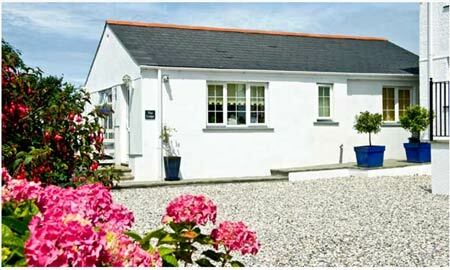 Self-catering Holiday Caravan accommodation in Wadebridge. 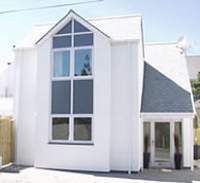 Mawgan Porth Nr Newquay Self-catering Holiday rental with Sea Views. Self-catering Holiday Caravan accommodation in Mawgan Porth Nr Newquay. with Sea Views. Welcome to the Carnewas Farm Holidays. We offer the best value for money Farm Holidays in the area. Ideally located for touring Cornwall. At Carnewas Farm Holidays in Mawgan Porth Nr Newquay Pets are Welcome - Dog friendly establishment. Castaway Cottage is a newly built house situated in the heart of the quaint village of Trevone and only 100 metres from the sandy beach. The property has been finished to a very high specification and features all mod-cons. At Castaway Cottage in Trevone Pets are Welcome - Dog friendly establishment. 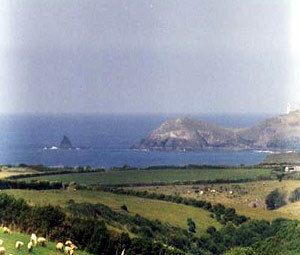 St Issey Self-catering Holiday Cottage rental with Sea Views. 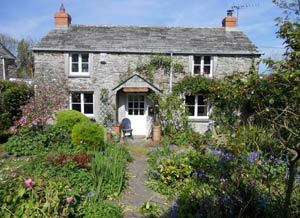 At Halwyn Holiday Cottages in St Issey Pets are Welcome - Dog friendly establishment. Luxury holiday Cottage sleeping 4 people & Three luxurious 4 star self catering apartments sleeping 2 +2. 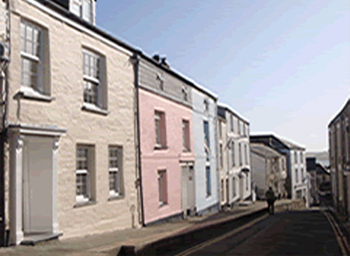 Situated in old Town Padstow, just 200meters from the harbour shops and restaurants. Apartments have private garden/terrace/hot Tub, Free Internet Access, Bed Linen & Towels provided. 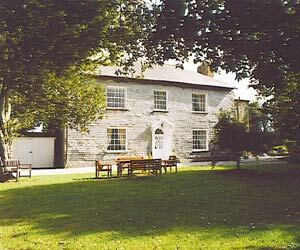 At Padstow Breaks - Duke House Apartments & Castle Nedd Cottage in Padstow Pets are Welcome - Dog friendly establishment. 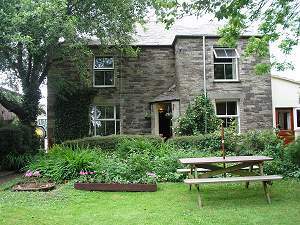 At Penmellyn House in St Columb Major, near Newquay Pets are Welcome - Dog friendly establishment. 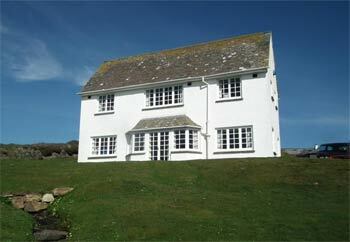 Porthcothan, near Wadebridge PL27 7UG Self-catering Holiday rental with Sea Views. 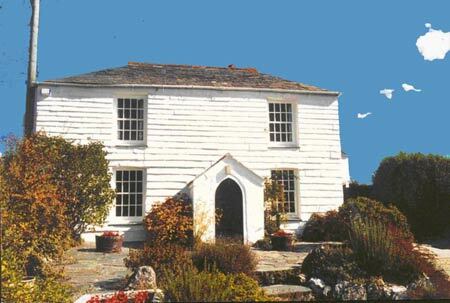 At Old School House in Porthcothan, near Wadebridge PL27 7UG Pets are Welcome - Dog friendly establishment. 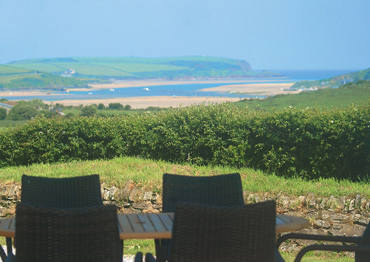 Springs enjoys stunning panoramic uninterrupted sea views of the Atlantic and Camel Estuary. The passge of boats and ever changing sea views (including sunsets) can be enjoyed from both the house and the large garden. 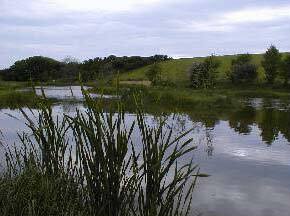 At Springs in Trebetherick Pets are Welcome - Dog friendly establishment. A group 5 cottages only a � mile from the sandy beach at Treyamon Bay, recently converted from a range of traditional Cornish farm buildings, one designed specially for the disabled. 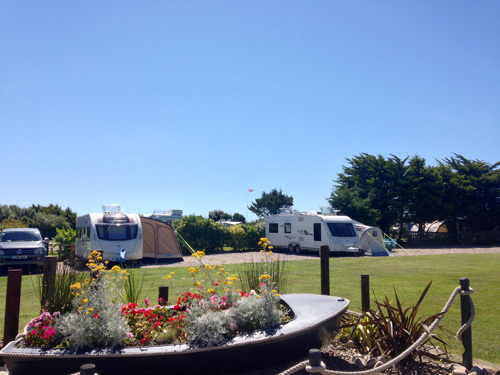 Padstow Touring Park is a multi-award winning site we have received a Gold David Bellamy Conservation Award 2014, Cornwall Tourism Awards Camping and caravan park of the year Silver Award 2014/2015 and Holiday Park of the year 2013/2014 Bronze Award.. Open all year. At Padstow Touring Park in Padstow Pets are Welcome - Dog friendly establishment. Nr. 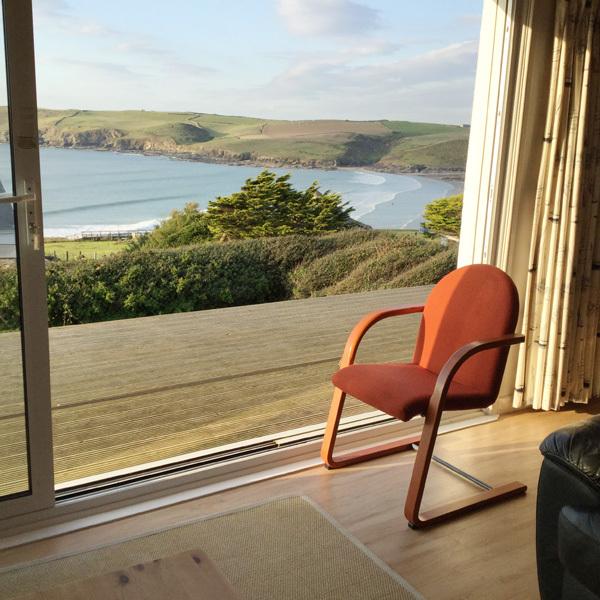 Polzeath Self-catering Holiday rental with Sea Views. 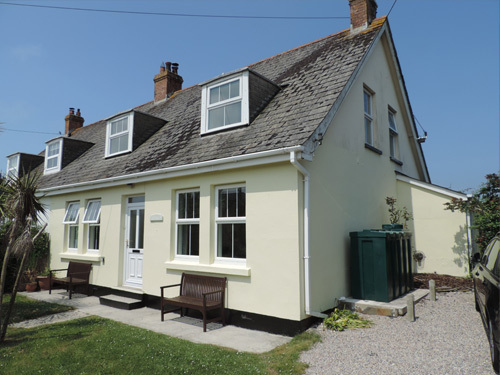 Our delightful detached four bedroom cottage sleeps nine and is comfortably furnished with all the usual appliances. Beautifully situated 5 minutes walk from Daymer beach, only a little further to surfing at Polzeath, golf at St Enodoc and sailing at Rock. En-Suite Bed & Breakfast (B&B) Holiday Stays in Trevone with Sea Views. 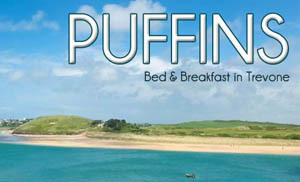 Puffins B&B, a spacious self-contained loft studio in an idyllic setting situated just 200 yards from the beautiful sandy beach in Trevone, and only 2 miles from the famous fishing port of Padstow. Puffins B&B boasts spectacular views from both the front and rear of the house, including inspiring sea views from which you can enjoy your morning breakfast or the evening sunset. Spacious detached cottage with sea views in a Cornish coastal village. Sleeps 6. Private attractive gardens. Sandy beaches, coastal walks, 1� miles to Padstow and Camel Trail. Trevone Bay Self-catering Holiday rental with Sea Views. Trevone Bay Holiday Apartment Rental with Sea Views. 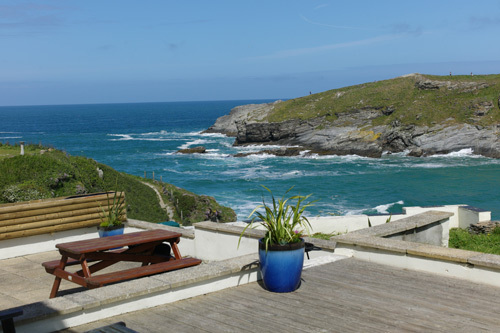 Two self-catering holiday apartments in beautiful Trevone Bay . 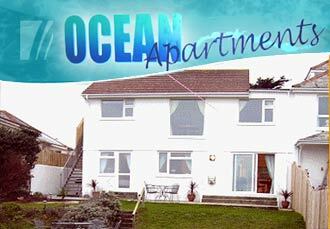 Ocean Apartments were newly developed in the summer of 2004. 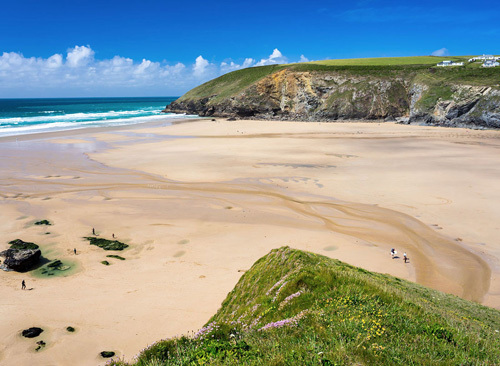 Ideally located for exploring the north Cornish Coast, with easy access to Newquay, Mawgan Porth and Padstow. Each apartment sleeps 4. 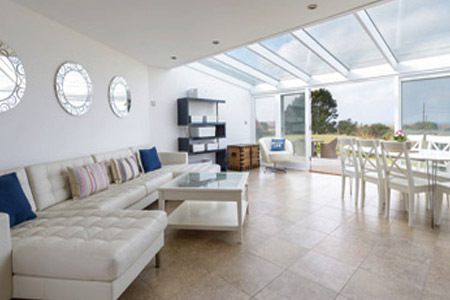 Watergate Bay Self-catering Holiday rental with Sea Views. A Grand Cornish Holiday Home. The Watersend is the only privately-owned detached house in its own grounds in Watergate Bay available for holiday rental.The property sits in one and a quarter acres of beautifully landscaped gardens which are full of rare and unusual plants and flowers. Pets welcome.